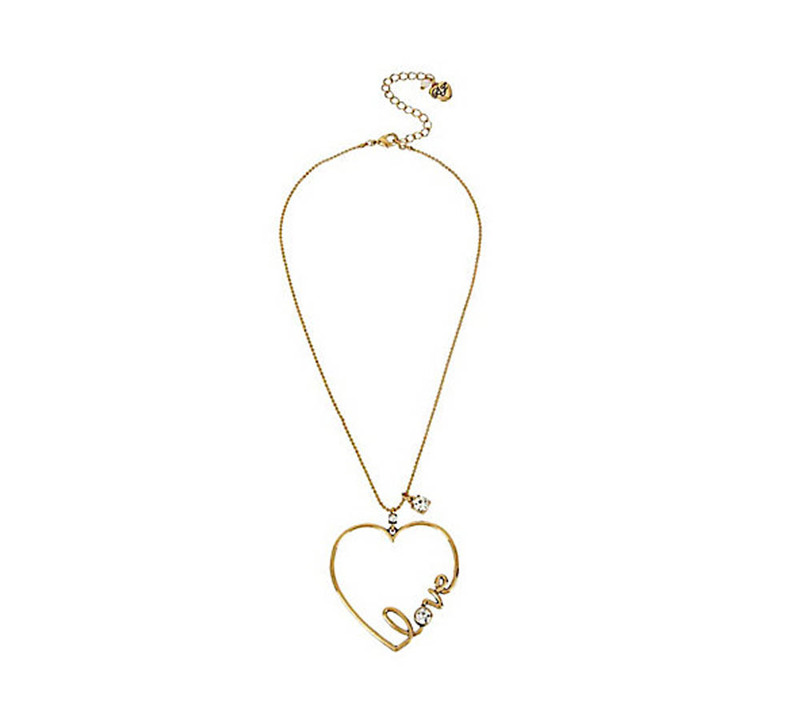 If you love to love, this delicate heart shaped pendant is for you. Its dainty gold chain features a striking crystal accent as the main focal point. Gold tone necklace chain and love heart pendant with crystal faceted stone accents Lobster claw closure Antique gold tone plating Metal/glass Length: 18" + 3" Ext Pendant Width: 2" Pendant Drop: 2.25"